Looking for a weekend away? Looking for a beautiful property to host your events? Experience what Fort Steuben has to offer year round by renting our facilities. We'd be happy to host you! For more information contact the ORVC office or the Properties Director below. 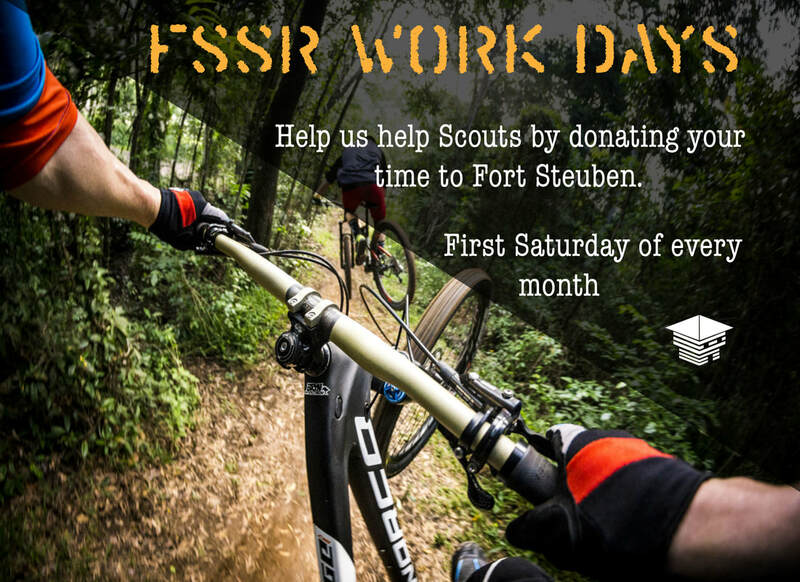 There is a monthly camp improvement workday held on the first weekend of every month at Fort Steuben Scout Reservation. Work details usually include cutting and splitting firewood, making floorboards and accessories for unit camping, as well as general repairs to camp property. If your unit is interested in coming out to camp for the weekend and participating in our day of service, we will provide you with a free campsite for that workday's weekend. To schedule your stay at Fort Steuben, call Lori Abraham at the Ohio River Valley Council service center. Every other year, Fort Steuben Scout Reservation hosts the Ohio River Valley Council's annual Klondike Derby. The event is full of fun, competition, and fellowship, and we encourage any unit who is looking into a winter-camping experience to think about attending in 2019! Make sure to stop by our Facebook page and check out the gallery of photos from Klonidke Derbys of yeas past!